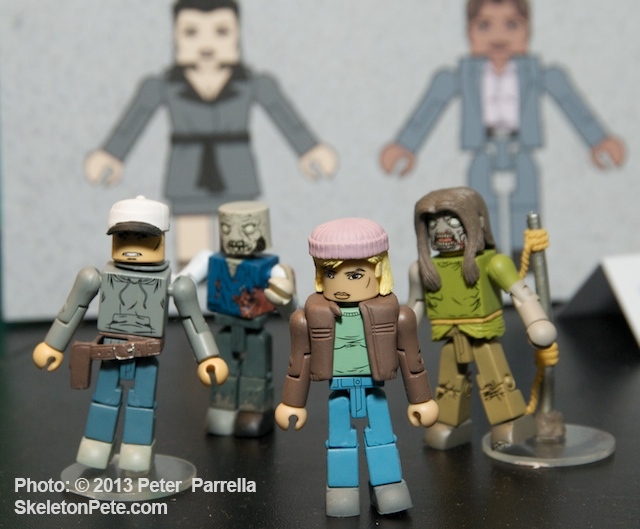 The folks over at Diamond Select Toys have been having some fun with their Walking Dead Minimates. Check out the video they’ve put together to herald the release of the 3rd set of figures. This neat little flick was lensed and edited by Alex Kropinak and features Acorns to Oaks’ Chris Ward as Rick on the voiceover and the music of Matt Takacs. Warning! Don’t expect the same kind of mirth that Alex dishes out over at Marvel.Com’s “Marvel Superheroes What The ! ?” This one is a mini reminder of how grim and gruesome Robert Kirkman’s comic and the AMC’s TV series can be. The Riot Gear Rick Grimes and Dreadlock Pole Zombie are my two favorites this time around. You’ll find Series Three at comics and specialty shops on June 12th, 2013, the exclusive Toys “R” Us packs are already lurking around TRU. Series 4 drops later this summer and features The Govenor and his henchmen, a poncho wearing variant of Michonne, along with Lori and baby Judith. 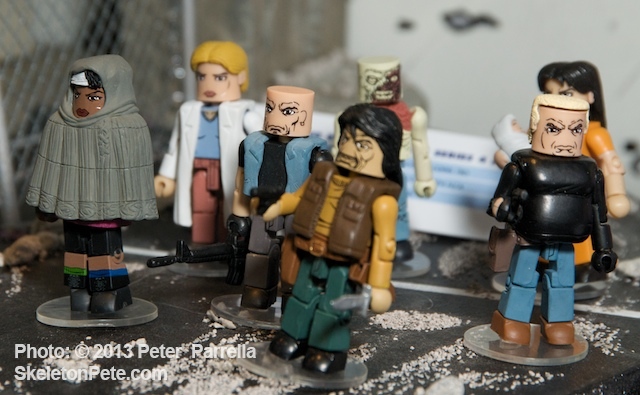 I love Minimates, they’re eminently photographable and it’s easy to find some shelf space for them. Just don’t display these zombie mini munchers too close to the edge of your bed if you want to wake up with a full set of toes.